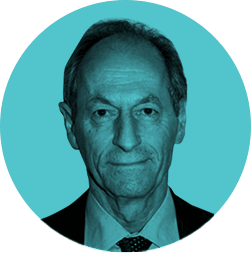 Institute of Health Equity - Michael Marmot: We opened our minds. More important we opened our hearts. We opened our minds. More important we opened our hearts. Who do you imagine might say something like that? A social worker? A new age traveller? A cleric of one or other faith? How about a Deputy Chief Fire Officer at West Midlands Fire Service. He was launching their report “Improving Lives to Save Lives – the role of West Midlands Fire Service in contributing to Marmot objectives”. He said that they opened their minds to the Marmot Review, Fair Society Healthy Lives, and they opened their hearts to what they could do to help the poor and the needy in the communities they serve and of which they form an important part. Their principles are Prevention, Protection, and Response. They have given an undertaking to respond within five minutes to a call for a fire. They spend between 6 and 10% of their time responding to fires. With training, shifts, and preparation that comes to about half their time. They have been innovative, creative, and committed in using the other half of their time to enhance the communities they serve. They quote us in pointing out that both health and fires follow the social gradient. Prevention of one is likely to help in preventing the other. One important principle is Making Every Contact Count (MECC). A fire fighter goes into a home to check fire risks and talk about making the home safer. He sees hoarding, which contributes to risk, deprivation, isolation of an elderly person. He doesn’t then say, bad luck. He either works on the problem himself or works with colleagues to figure out who they should be working with. If the fire fighter has reason to suspect domestic violence, for example, he contacts the relevant experts. They have ‘Marmot Ambassadors’ who are the front line staff whose role is acting on the six domains of recommendations in our Review. They call them the Marmot Six (sounds like a miscarriage of justice – one better than the Birmingham five). We heard moving case studies. A fire in a house led to discovery of an octogenarian, ‘David’, who was burning rubbish in his living room to stay warm – his gas had been cut off. It took a fire officer three weeks of coaxing for David to let her in the door. Turns out he didn’t “do” anything. He didn’t watch TV because his electricity had been cut off 26 years ago. The Fire Officer brought him clothes, Xmas dinner, located his sister, and finally got him on needed medication and into sheltered accommodation. He was in a good deal better state than when they found him. Each case study was more moving than the last. The fire officers give of their time and effort beyond the call of duty. They are worried that when someone discovers the inspiring work they are doing in preventing fires and improving health and well-being their funding will be cut. It would be a catastrophe if it were.